Welcome author Justin Bog to the Age is Just a Number series – fearing 40! I am pleased to welcome Justin Bog, author of the newly released Hark—A Christmas Collection, to the Age is Just a Number blog series. I enjoyed hearing a man’s perspective on aging. Today, Justin talks about his fortieth birthday. 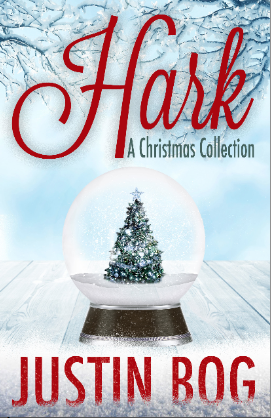 And keeping reading for an excerpt from Hark—A Christmas Collection. The Age I Fear . . . Turning 40 and every birthday afterwards. I don’t love to live in the past. I don’t think about my past much, or reflect on nostalgic moments. I barely remember childhood birthdays, and I am a twin sharing this date with a brother born fifteen minutes ahead of me towards the end of July summer heat right smack in the middle of 1965. I live in the cliché of now, the present, and this is my mindset. I don’t worry about the future, the ups and upheavals to come since I cannot change either the future (or the past). I can only imagine doing so, and this helps when I create the fictional stories I tell. I’ve had one major birthday celebration, and while a fantastic gathering of friends in Victoria, B.C. when turning 40, I felt unmoored. Since I don’t seek attention, the spotlight became something too bright and I continued to feel ephemeral and unworthy—I didn’t earn this. One participant jokingly said, “All this is for you?” He shook his head with disbelief, and I did as well. I’m from midwest roots where sticking out in any crowd is wrong, and even more scoundrel-like if anyone is sticking out in a crowd for doing something wrong, ill-mannered, or without a concern for how any action will touch someone else. Empathy became a charming companion. I placed others before myself, and still do. I now follow The Four Agreements whenever I’m facing conflict or difficult moments—and it does take some time to not take anything personally. Seeking attention is the rub, and can’t be avoided on birthdays. Being a writer has made me falter at times on the marketing front because authors are supposed to be approachable, entertainers while reading their work in public, savvy at social media, but not too loud, not too self-centered, and there is a fine line that authors do end up crossing. Recently, I went to a gathering where I became too chatty, and myopic about writing, a deadly combination, and I learned a valuable lesson: less is more less is more less is more. I was in a room full of strangers, lovely people, but my own anxieties, frailties, chipped away at the role I was playing. This huge 40th birthday party was unknown to me, a huge surprise, but intuition told me there would be something I’d have to be grateful for later, and I was (I am). The hardest thing about aging is a physical decline, and for some a mental decline rides right alongside the body’s decay. I watched my parents’ health decline, my mother’s passing at too young an age a few week’s prior to her birthday; the year before my father’s death filled with the stress of a familial betrayal, not living long after his birthday, unable to read any celebratory card. Birthdays, all of them now, are totems, markers where I can check my own frailties, how they progress or lessen. Many of the past several birthdays I’ve spent alone without any kind of cheerful party, and this solitude is welcome even though fear creeps in. When I do celebrate a birthday again, I’ll handle cheer much better, I promise, since I do know a lifetime is fleeting. It’s Christmas Eve and I have the whole night planned. I make dark chocolate rum cookies and spread them artistically on my good French china and, afterwards, I take a bath with jasmine-scented skin softener. I put on a new red lacy negligee, with a matching (warmer if I’m going to wait long) robe with dainty, feathery slippers, the kind that look like you have racy pompoms on your feet. I light all the candles in my living room, tall ones, thin ones, and wide ones, placed on the bookshelves and the end tables and turn off all the house illumination except for the flickering white lights of my small, tabletop Christmas tree. Then, I settle a bottle of Veuve Clicquot Rosé into the ice bucket, ready to serve, and sit on my puffy couch, my legs tucked under me, waiting. Is it silly to want someone so badly you’d do anything to be around that person? I’m known as a person who doesn’t rein in her passions. The Mr. Spocks of this world can kiss my sweet personality. Believe me, I’m really not speaking as any kind of stalker. I’ve never been a fan of celebrity. And, no, I didn’t have a poster of Kurt Cobain or Luke Perry on my wall …really (Okay—I will say one thing—I don’t think Courtney Love is a great role model. Who does she think she is anyway?). I’m not that desperate. You be the judge. Ask me if it’s silly to want someone so badly you’d act like a complete fool, I’d have to answer: no, with reservations, of course. I think murder is out of the question. I can’t think of any situation where I’d kill someone just to get what I want. On the other hand, I’ve been thinking about Mrs. Claus a lot. Book Description: A beautifully written collection of short stories from critically acclaimed Pacific Northwest writer Justin Bog, Hark—A Christmas Collection explores the range of emotions surrounding the holidays. From melancholy to madness, loss and despair to hope and forgiveness, these six tales shimmer with feelings, some we’d rather stuff away, that Christmas can evoke. 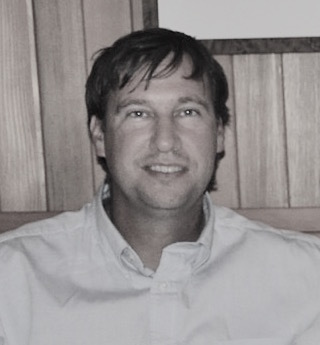 Author Bio: Justin Bog lives in the Pacific Northwest on Fidalgo Island. Justin Bog was Pop Culture Correspondent and Editor for In Classic Style. He is an experimental cook, a lawn mower who colors outside the lines, and treat master to two long coat German shepherds, Zippy and Kipling, and two barn cats, Ajax The Gray and Eartha Kitt’n.